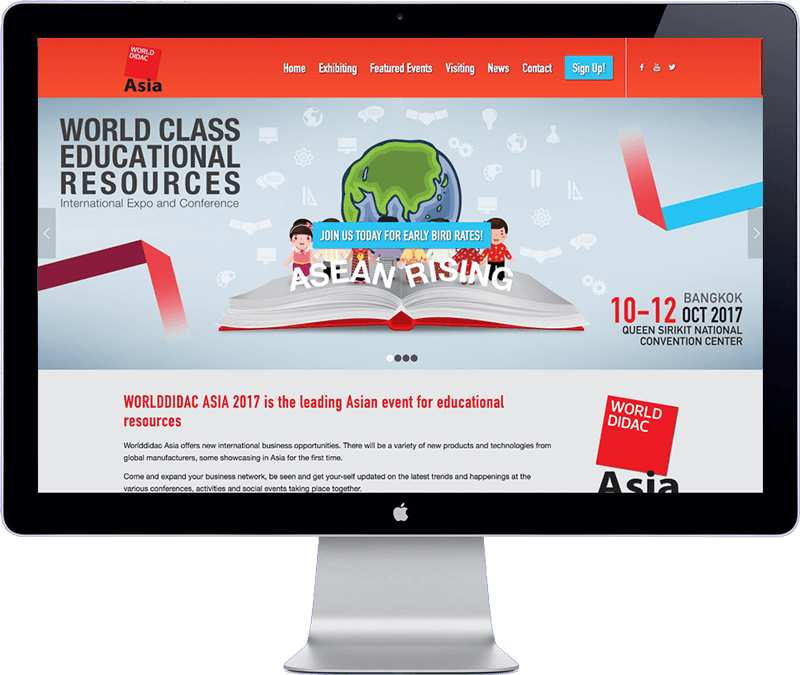 Worlddidac Asia 2017, held from 10-12 October at the Queen Sirikit National Convention Center ( QSNCC) in Bangkok Thailand, is the leading Asian event for educational resources. At the event will be a variety of new products and technologies from global manufacturers, some showcasing in Asia for the first time. Several government officials from all over the world as well as teachers, lecturers and directors of schools, universities and educational institutes will be attending. The event is supported by UNESCO and several large Thai government agencies. From their promotional material I developed a new website. The new site is easy to updated and is optimized for search engines (SEO). The website colors reflect their brand identity, the content informs visitors about the upcoming exhibition and visitors are directed, by intelligent use of UX design, to sign up for the event. The website has been developed with WordPress Content Management System. The client received a short training over Skype on how to update the website.